I have been waiting a long time to share this blog post with you all. 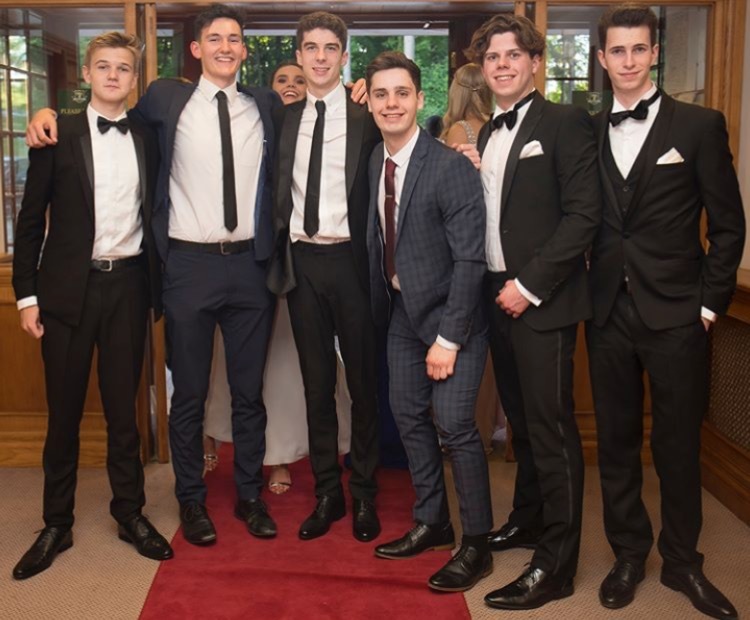 About a month ago I had the most amazing evening at my Year 13 Leaver's Prom. Due to A Level exams I haven't been able to write this post until now, but it's finally here so I hope you enjoy it! The week leading up to Prom started off with a French Exam (so not so great)...but after that I could focus on my preparations for prom! I already had my outfit sorted and ready, but I needed to buy some last minute bits and bobs. My group of friends also needed to decide what type of transport we were going to take to prom. We didn't really fancy the typical limo type of transport, and after a few ideas being discussed including riding camels, skydiving or tractors, we finally decided on a minibus! My Prom was on the Friday coming, and on the Wednesday my friends and I booked in for a spray tan at Boutique Spa in Locksbottom. It was the first time I had ever had a spray tan so I was a little bit nervous. One by one we went into to have it done, and each time one of us coming out tangoed! I went for a natural shade of tan, and the lady used a St Tropez spray. I was very happy with my experience at Boutique Spa, and I would definitely have it done there again. When driving home with my friends, and we looked like five oompa loompas, but we were all really happy with the result! The tan gradually got darker and darker, and I was called various names by my family from David Dickinson to Donald Trump, and I was starting to get worried that the colour might be too dark. However once I had washed it off in the morning the shade was really nice! Thursday evening I decided to paint my nails ready. I was going to paint my nails with my gel kit, but I instead opted for my Revlon Crème Brulee Nail Polish. The colour matched my bag and shoes really well, and I absolutely love the quality of it. The day had arrived and I waited until about 2pm to start getting ready. After showering with my Body Shop Pink Grapefruit range of shower products, washing my hair with TRESemme Keratin Smooth shampoo and conditioner, and moisturising my body with the Clarins Body Lift cream, I was ready to do my makeup! Thanks to my friend Tom we had pre-drinks at his house. We had the opportunity to take lots (and lots and lots) of photos, and of course to drink a few beverages before Prom started! Lots of our parents came to see us all together, and to attempt to take some photos (even though my mum's photography skills are shocking). 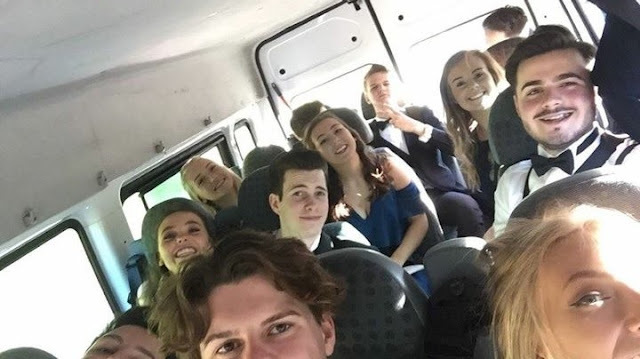 It was soon time to leave as the minibus had arrived (all thanks to Hannah and Josh), and we headed to Prom! The minibus was such a good idea, and it was great arriving with everybody! The evening was organised amazingly! It was held at Westerham Golf Club, which is such a beautiful venue. The sit-down meal was lovely (even though when serving our table they missed me out twice...). I had a Tomato Soup to start, followed by a Salmon en Croute for my main, and my dessert was a Cappuccino, Caramel and Chocolate Cheesecake - it was delicious! The music was really good, the bar wasn't too expensive, and I had an amazing time with everyone! Oh and there was a photo booth too! Overall I had an evening that I will never forget!